MODEL HOME FOR SALE! This Championship Boulevard property is every homeowner’s dream. This spacious 4,096-square-feet and boasting five bedrooms and 4.5 bathrooms is located in the welcoming Westhaven neighborhood, with access to the Westhaven Residents’ Clubhouse, fitness center, pools, tennis courts and playgrounds. Zoned for Pearre Creek Elementary — located in Westhaven — Hillsboro Middle and Independence High School, all in the highly-rated William County School District. The exterior of this property displays many classic touches of French country homes, with its paneled front door and window shutters. The large covered back porch and scored concrete patio provide plenty of room for outdoor entertaining. The gracious foyer greets visitors with a simple, modern chandelier and the beautiful sight of winding wooden staircase. High ceilings and large windows allow for plenty of light to travel and accentuate the flow between the entrance and adjacent rooms, ensuring that the space will be beautiful whether it be day or night. The study with glass-paned doors just off the foyer can double as a main level guest room if necessary with closet and adjacent full bath. The front entrance leads to the Great Room, which features a gorgeous coffered ceiling, large windows that look out onto the patio, and a ceiling fan and fireplace to provide comfort no matter the season. Recessed bookshelves against one wall allow for space for books and memorabilia, while the large floor space allows for multiple furniture arrangements. The oversized formal dining room will accommodate the holiday family table and is enhanced with wainscoting. The kitchen is well-appointed with stainless steel appliances including double ovens and gas cooktop, custom painted cabinets with soft close drawers, with oversized island providing additional seating. The master bedroom is spacious and features a large number of windows and a high, stepped ceiling for a very comfortable and roomy feel. The windows overlook the backyard and treeline providing rear privacy. The master bathroom is brightly lit with hanging lights and well-placed windows, separate vanities with granite countertops, large shower and a freestanding tub. The large custom-designed walk in closet provides drawers, shoe shelves, and plenty of hanging space. The additional four bedrooms upstairs all feature large windows and ceiling fans with light kits. A large bonus room with wet bar and wine refrigerator opens onto a balcony overlooking the backyard and beautiful Williamson County hilltop views. The backyard opens from the patio, which has plenty of room and is a beautiful place to enjoy. The stairs lead down onto an open space, perfect for grilling or entertaining. The backyard itself is spacious and has room for a vegetable or flower garden. The current listing price for this beautiful property is $879,900. 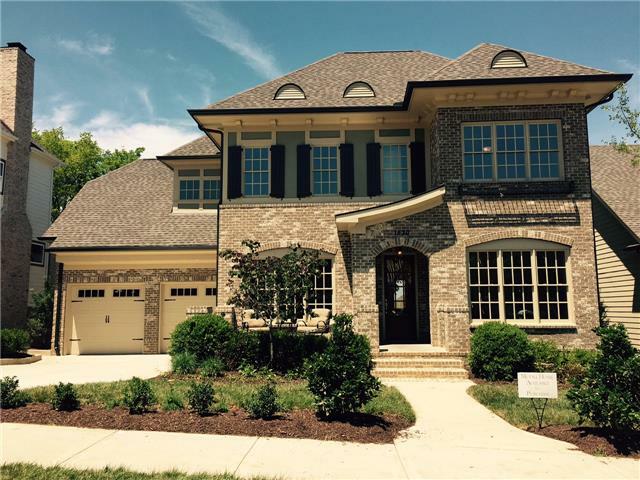 For more information, contact Lisa Cahalan from Westhaven Realty at 615-599-1764 or visit www.westhaventn.com.